Felin Ganol Watermill has been restored to working order over the last five years. We now grind organic wheat, rye and spelt to produce a range of stoneground flours which are available from the mill and a number of local outlets. 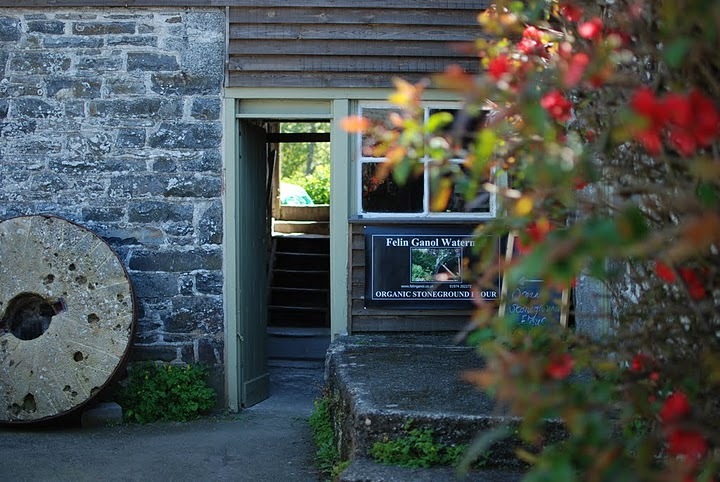 A guided tour of the mill enables you to view the milling of grain to produce wholemeal flour, including watching the waterwheel operating and sampling the flour. There are opportunities to learn about life in the mill over the last century with many records, tools and artefacts on display and a woodland walk along the river Wyre to see the sluice gate and mill race. For opening times and further details please see our website.